A 33-point lead may not be insurmountable on a football field—unless it’s late in the fourth quarter—but it’s a very tough hurdle in a political campaign with time running out before the general election. It happens to be the gap in the Suffolk County executive race, according to a recent poll. The candidate on top is the incumbent, Suffolk County Executive Steve Bellone, a Democrat, and the underdog is his little-known Republican challenger James O’Connor, a former North Hempstead Town board member who moved from Nassau to Suffolk about a decade ago. An Oct. 6 Siena College/Newsday/News 12 survey had Bellone enjoying a 61-28 percent advantage after 400 registered and likely voters weighed in. What’s also telling is that a majority told the same pollsters they thought that the county was on the right track. He noted that Bellone claims he hasn’t raised the general fund property tax increase for the fourth year in a row but won’t mention that police district taxes, which are slated to rise 3 percent in the county’s 2016 budget, have gone up in each of the last three years. LaValle pointed out that the Sienna polls made the same mistake predicting that Rep. Tim Bishop (D-Southampton) would keep his Congressional seat instead of losing to state Sen. Lee Zeldin (R-Shirley) last fall. Getting enough Suffolk Democrats to re-elect Bellone as county executive race is definitely a worry for Suffolk Democratic Chairman Rich Schaffer, who’s also Babylon Town supervisor. Regarding Suffolk’s declining bond rating, Schaffer said that under Bellone’s leadership the county has “made some great strides” in dealing with the structural imbalance in Suffolk’s fiscal condition, and Standard & Poor’s had taken that into consideration. This year, despite having a Democratic incumbent as Suffolk County executive and a 10-to-6 majority of the Suffolk Legislature’s 18 seats (the Working Families Party and Independence Party also each have one), Schaffer’s party organization has had to overcome its own fiscal imbalance. In September Schaffer called a special meeting of the Democratic executive committee and reportedly got authorization to borrow up to $500,000. Schaffer, an attorney, had already given the party an $80,000 “no interest loan” to get through Election Day, he told the Press, explaining that they’d started door-to-door paid canvassing early this year and planned to launch TV ads in the next two weeks for a couple of legislative districts which he declined to name. As for his own political forecast, Schaffer exclaimed, “I don’t think the town races are competitive as in years past.” Suffolk’s 10 townships are evenly split between the two parties, and that status quo will most likely remain unchanged after the Nov. 3 general election. But Schaffer did predict that the race for the 14th Legislative District, currently held by Kevin J. McCaffrey, the legislature’s minority leader, “is going to be a very close race, and I think it could surprise the Republicans there.” The Democratic challenger is Tim Sini, Bellone’s deputy for public safety. “We expect that we are going to have more Republican legislators after Election Day,” countered LaValle, the Suffolk GOP chairman. He put the number at “five, possibly six” seats. No matter how he does the math, LaValle can’t count on the Republicans electing a candidate from the 9th Legislative District in Islip because they aren’t running one. But judging from the Islip Town Democratic Committee’s website, they aren’t running one, either. And that’s why the race for this seat is probably the bitterest political contest in Suffolk this fall because it’s split the local Democratic Party and could be a harbinger of a future upset to come. It pits Legis. Monica Martinez, a Democrat now running on the Working Families Party and Independence Party lines, against Giovanni Mata, an Islip Democrat who won the primary because she dropped out of the race after her campaign was accused of filing fraudulent petitions to get her on the ballot. She declined to have her day in court, and Judge Joseph Santorelli directed the Suffolk Board of Elections not to put her name on the Democratic ballot in the September primary. Mata was the de facto winner. Republican Islip Town Supervisor Angie Carpenter, left, is running against Democratic challenger Tom Licari, right. At the head of Citizens United to Reform Islip, the Democratic slate of candidates that included Mata, was former Legis. Rick Montano, who was challenging the Islip Town Democratic Committee’s candidate Tom Licari for Islip supervisor in the primary. Licari wound up beating him by only 87 votes—1,000 to 913. Montano claims his campaign spent $13,000 compared to the $53,000 spent by the town committee with another $28,000 chipped in by Schaffer’s county committee. Schaffer did not dispute those figures but they may not include all the campaign expenditures depending on further review. The turnout represented barely 2.9 percent of Islip’s 65,726 registered voters, and tellingly for the general election, Bellone had prominently supported Licari. Primaries rarely draw a high proportion of voters no matter who’s on the ballot in an off-year election, but the weather was also a factor in keeping people away from the polls since 2.3 inches of rain fell that day on Islip, more than 60 percent of the monthly average, according to the National Weather Service’s Upton facility. Montano, who seemed surprisingly upbeat despite his defeat, said, “We did great, considering the forces against us.” His animosity toward his own party’s chairman is not a secret and the feeling is mutual. Montano declined to endorse the triumphant Licari against the incumbent Republican Angie Carpenter, and Schaffer refused to back Mata in his legislative race. At the Sept. 24 meeting of the Suffolk County Democratic Executive Committee, held at the Melville Hilton, Schaffer not only urged members of his party to support Martinez for re-election, he went even further, infuriating Mata’s supporters who were there. The 9th Suffolk County Legislative District, which includes Brentwood, Central Islip and North Bay Shore, predominantly represents African-American and Latino residents. As such, it’s also got a strong contingent of immigrants, particularly from El Salvador, which is still recovering from a bitter civil war. Mata, a native Salvadoran, moved to the U.S. when he was 13. Martinez emigrated from El Salvador when she was 3. What happens in Islip this November may have a impact far beyond its borders. Compared to other Long Island towns, Islip’s political lineage is significant since it connects to the New York State Senate as well as Congress. 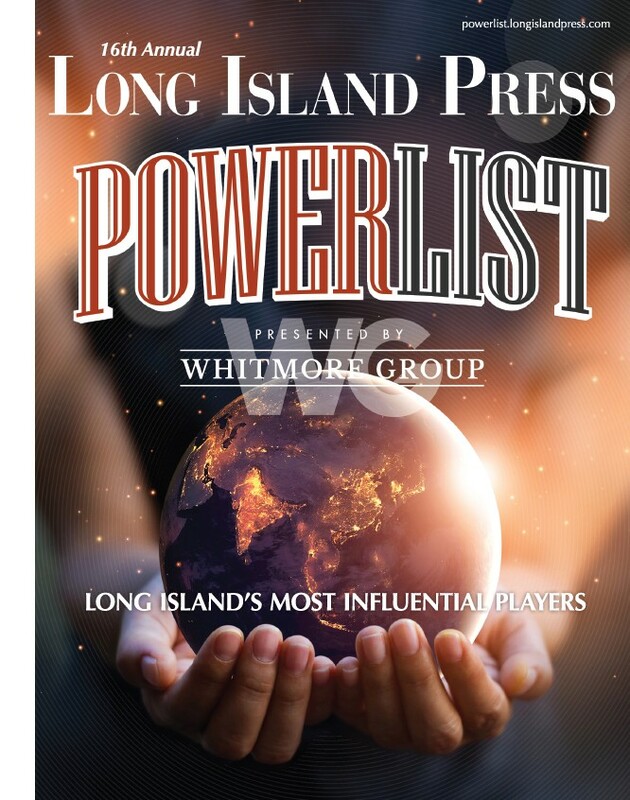 With Montano out of the race and plotting his next move, the competition for Islip Town supervisor features two candidates from Fire Island: Carpenter has a place in Ocean Beach and Licari has a home in Kismet. 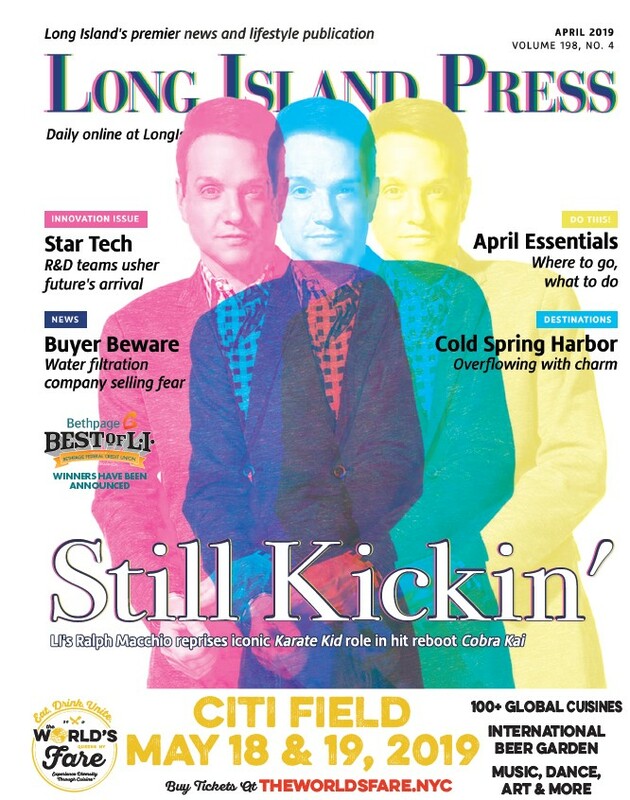 Licari’s campaign manager, Matt Tighe, explained that “his family has lived there for over 80 years,” but insisted that Licari has “strong roots all over town.” Carpenter ran her first race for county legislature in 1992 from West Islip and served in the legislature until 2005 when she was elected Suffolk County treasurer. Earlier this year, Carpenter was appointed Islip supervisor by Islip Republican leaders to replace Tom Croci, who’d left town hall to run for the state senate. He defeated Adrienne Esposito, the executive director of Citizens Campaign for the Environment. Esposito, a Democrat, had begun her campaign thinking she was going to oppose Islip Town board member Anthony Senft, who was implicated, fairly or not, by the dumping scandal involving tons of toxic waste found at Roberto Clemente Park and other sites. Since Senft, a Conservative, was the town board’s liaison to the parks department, the issue was too hot for him to handle. He withdrew from the race, and Croci entered it. The state Senate seat was vacant because Sen. Lee Zeldin, the Republican then representing Shirley, had beaten his long-time Democratic rival, Rep. Tim Bishop, who’d creamed him the first time they faced each other. Nationally, Democrats were counting on Bishop to keep the House Republicans from gaining strength in Washington, D.C. In New York, Democrats were hoping to replace Zeldin and weaken the Republicans’ hold in Albany. It would have been like winning the trifecta since the Democrats already have the Assembly through gerrymandering and the governorship thanks to Andrew Cuomo. But as the countdown to Nov. 3 gets closer, the state Senate remains in Republican hands, even though by party regulation it’s a tie, with 31 Republicans and 31 Democrats, and one seat vacant. In practice, the GOP wields control because five members of the Independent Democratic Caucus and a conservative Democrat from Brooklyn, Simcha Felder, conference with them, thereby making Sen. John Flanagan (R-Smithtown) the majority leader. Flanagan took over the top post last year after Sen. Dean Skelos (R-Rockville Centre) had to step down because he was indicted on federal corruption charges. Skelos, who pleaded not guilty, is still serving in the senate from his Nassau district pending the outcome of the case. Tellingly, Skelos’s indictment reportedly came about by a federal investigation into former Assembly Speaker Sheldon Silver (D-Manhattan), who remains in office but yielded his powerful position to Assemb. Carl Hastie (D-Bronx), who graduated from Stony Brook University. And for now, those powerful connections are about as good as it gets for Suffolk County. Until next year’s presidential election, when all bets are off and it’s a brand new game.